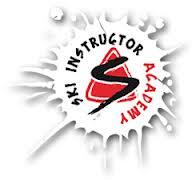 Im looking at doing my first season within the next year, i have looked at multiple options of jobs, bar work, chalet work etc but have come across courses offering training to become a snowboard instructor with a guaranteed job at the end of the course for the whole of the season. I know it appears a little pricey for a course so im just wondering if anyone has been on this course or something similar and whether it is worth the money, could i plan and do this myself and get a job instructing without forking out thousands of pounds? Yeah these courses can seem pricey, but I guess you are paying for the fact they sort it all for you. I did the EA Snowboarding one in Mt Norquay in Canada and it was epic. I did pay a bit upfront, but it meant I got there and had training and stuff, then a guaranteed job offer from the ski school there. This was pretty sweet actually as there were lots of people who just went there on their own and ended up having to wait tables and stuff cos they couldn't get an instructor job. So in my case it was 100% worth it. That does seem pretty pricey. Can they really guarantee you a job though? Sounds a bit far fetched to me. But if they can really guarantee you a long term job then the training and work at the end of it would make this worth the price imo. Plus you'll have a good time. I think i may do some more research on this. Are there other companies like this? Just to keep you updated, we can now offer our ski & snowboard courses with a guaranteed jobs in some amazing resorts including in Austria, Canada and Japan! The locations are absolutely awesome. Just to keep you updated, we can now offer our snowboard courses a guaranteed job in some amazing resorts in Japan! Best powder in the world and the location is absolutely awesome. I have sent you an email please look into it. PS: its been couple of weeks now i have been waiting. We don't seem to have any unanswered messages or emails, could you try resending to gary@siaaustria.com and i'll be sure to take a look at it right away. I have sent you an email please look into it. PS: its been couple of weeks now i have been waiting. I have searched our system and can not find any message which includes Adley in the message or sender address. Could you please give me some more info so I can investigate or maybe send it again so we can respond immediately. I tried sending a mail, i am getting gmail delivery error msg, i guess your mail box is full or you have to get your domain white listed. But what is life actually like as a ski or snowboard instructor? Is it all glamour - sun tans, buns of steel and doe-eyed customers?! YES! All of those things plus low pay to top it off! But you do get a job you love and apres... lots and lots of apres! If you do have issues emailing using the forum then you can visit our contact page and send us a message via that. We also have a live chat function via the website. I just wated to check, if you take this snowboarding or skiing course, would you be able to do the teaching as a full time job? Hi Nicky ! are you a snowboard instrutor nowadays ? I was searching for Information about this Canadians courses when i found your post. Was it easy to get a work visa to work as a instrutor? did they help you with this? If you are doing it as a Ski Course or a Dual Ski & Snowboard Course then you should be able to support yourself throughout the season as a full time job. If you are doing a Snowboard Course then the harsh reality is that you will only be able to get work during the peak periods of the season. Unfortunately there is less and less demand these days for snowboard only instructors as the demand for these lessons continue to decline. If you'd like to chat about your options please get in touch and I'd be happy to talk through them. Previously I also have the same issue but now It has been resolved thanks.